Giulietta appeared at the top of the stairs in a bathrobe. “What are you doing here?” she asked Francesca. “But why are you here,” Giulietta reiterated. “You? Help?” Giulietta stayed at the top of the stairs; her pose reminded Francesca of an old Hollywood film, right before something awful happened. “I don’t know when he’s coming back,” Giulietta said flatly. “Ok,” Francesca said. “Ok. We’re going to go now, we’ll see you in a little bit. Leo, say bye to mama,” she directed her nephew. Giulietta turned and walked away from the stairs into the hallway, and Francesca heard her bedroom door close. She turned to the maid. The maid nodded and walked upstairs. Francesca set Leo down and wandered towards the kitchen. “What do you think, should we have some breakfast? I’m pretty hungry,” she told her nephew. “Of course we are. Right after we have breakfast and you change into your clothes.” She looked around the kitchen. “What do you normally have for breakfast?” she asked him. “Cheerios,” Leo said, climbing into his chair. 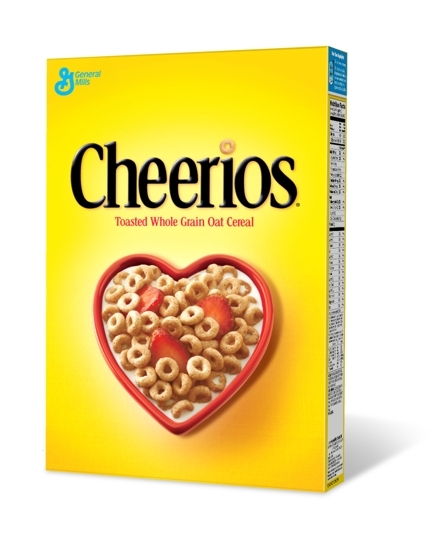 “What are Cheerios?” Francesca asked. “You’re not helping at all,” she said under her breath. The maid returned with some neatly-folded clothes. The maid opened a cabinet and pulled out a big yellow cereal box. “From America. Breakfast cereal. You can tell you don’t have kids.” For the first time since Francesca had arrived, Antonella cracked a smile. She served a small bowl for Leo and poured some milk. “Would you like some?” she asked Francesca. Francesca looked at Leo spooning the little o’s into his mouth deliberately. “Ok,” she answered. Antonella served her a slightly larger bowl of Cheerios and she and Leo sat together and ate breakfast.